A picture made its way into the in hopper at Pocket Now, showing a blurry snapshot of what appears to be a mystery Motorola Android device. With no visible buttons on the front of the hardware, we could be looking at capacitive buttons that are dark with the power off. Or maybe the device has no buttons-which could be a sign that the unit is running Ice Cream Sandwich. The ribbon protruding from the model means that the mystery phone is being tested and Pocket Now noticed a "horizontal seam at the bottom" which probably means that a sliding physical QWERTY keyboard will be on board when the model is finished. Does this mystery device have a DROID-esque appearance to it, and is it just the angle of the photo that makes the screen look so big? 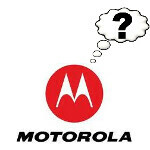 Don't keep us in suspense too long, Motorola, give us some details on this mystery model; inquiring minds want to know. Looks very droid x- ish.... dx3 already? Maybe a art or tmohandset? A huge display with a keyboard and ice cream!?!?! Yes please. kind of thin to be a slider i think. i could be surprised though. o: maybe it's a Nexus? Yea I agree. I think ice cream will come out first for the next nexus. most probably the Defy 2. This device might just be having a quad-core CPU which we are about to see in early 2012. It looks like a Nokia N8/N9. that is the Photon 4g from Sprint. look at the curviture in the corners. Defitnitely a resemblence. the Photon also has a dark chrome colored bezel, this phone keeps a consistent shade of black all the way around. it looks like the photon 4g from sprint. No, I see them as well. A Slider is never buttonless. In another article you was mentioning trolling...I posted there is a difference between posting/debating and trolling.... This is an example of trolling. I dont really like Samsung phones. Take a guess at how many times I posted what you just did in some Samsung article? Yea thats right....none. Learn the difference between posting/debating and trolling....before you accuse others of trolling. A troll complaining about trolls is a complete fail. Looks like it could be the Motorola Targa. Also, I see what looks like a power/lock button and volume rocker on the top right of the device.